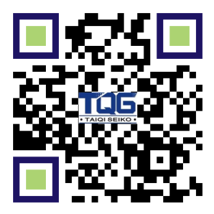 The TQG harmonic drive speed reducer CSG/CSF component sets is a kind of zero backlash gearbox which is the core motion control mechanism. 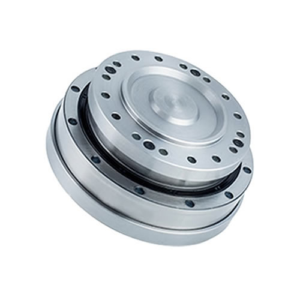 CSF is a standard torque type, while CSG is a high torque type of component sets. 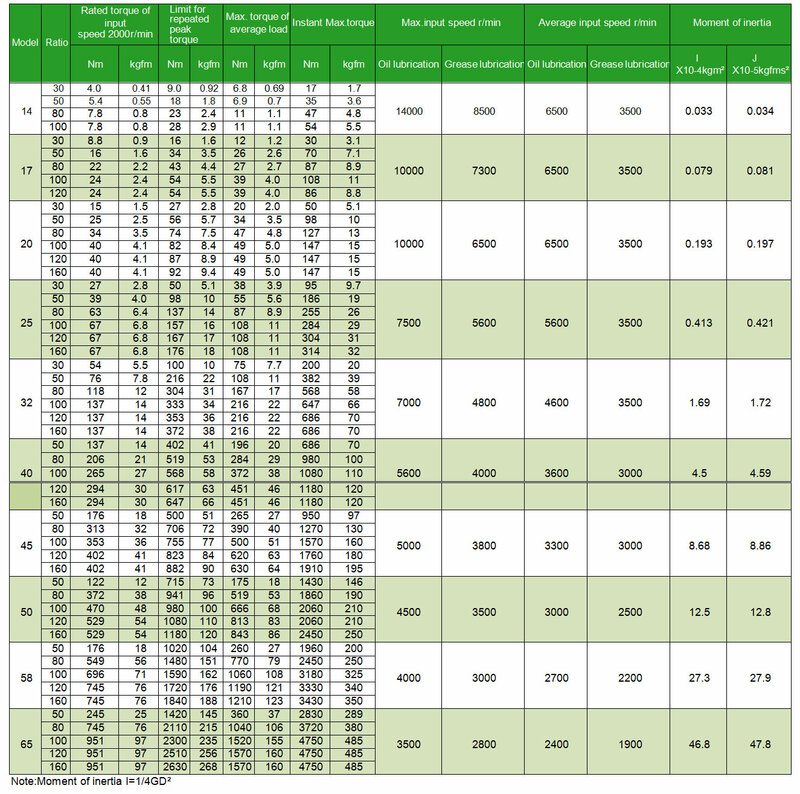 They are available in a board range of sizes and ratios for selection. 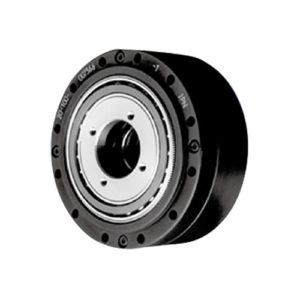 CSG/CSF series high precision gearing component sets normally are used as the core part for high performance customized servo actuators and motion control system. The servo motors supplied by customer can be easily attached to our harmonic gearbox. 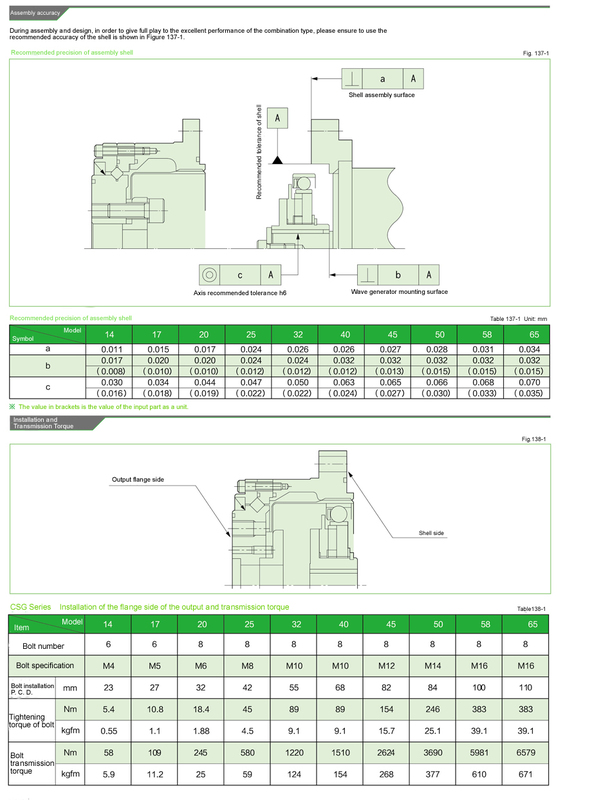 Besides, customized harmonic gearbox is also available and can be perfectly integrated into your design. 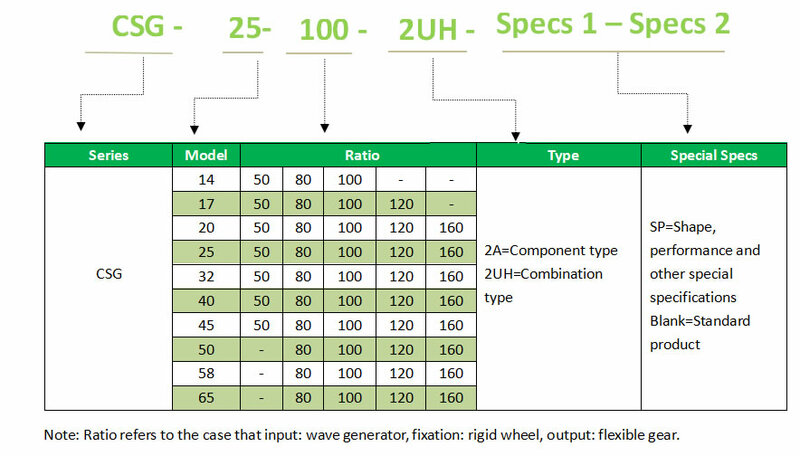 The CSG/CSF series component sets can meet the needs of high performance, high speed, high load capacity, high density and miniaturization, and achieve a various product range to enable customers to choose the best model according to their own situation . 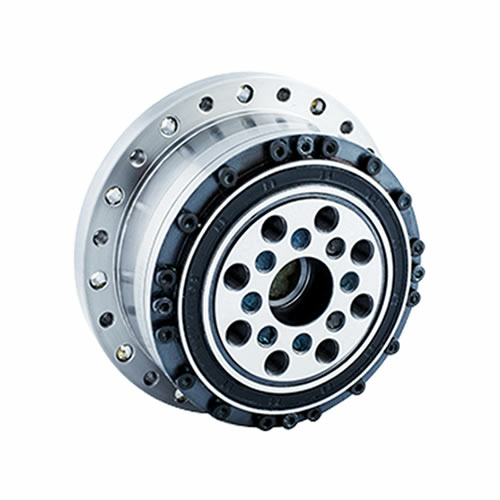 The torque capacity is 30% higher than that of CSF series. 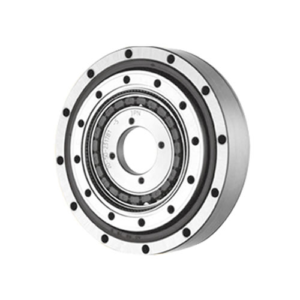 CSF series harmonic gear can also achieve the advantages of IH gear shape in the small size model. The rigidity of CSF series has been improved up 100% compared with traditional products. Service life of CSF harmonic gearhead has been improved a lot. The TQG CSG & CSF Series Harmonic drive gearboxes are widely applied in industrial robot like the wrist bending and twisting drive of the vertical multi-joint robots, robotic arm drive for horizontal multi-joint robots and various machinery equipment.